Over the last ten months, I have gotten to know some of the folks at Dave Ramsey’s organization, The Lampo Group. I love not only what they are doing, but also how they go about it. I asked Debbie LoCurto, Vice President of Financial Peace University for Church, Military, Spanish, Momentum, and the Individual, for a few minutes of her time. Here is our conversation. Jim: I see a lot of churches offering Financial Peace University these days. Any theories as to why it is so popular? Debbie: Dave presents the material in an interesting and entertaining way using real life examples. People can relate. Then, he gives baby steps to help people walk out God’s principles. It isn’t easy, but people see hope. Jim: What kind of results do you typically see from a person who goes through FPU? Debbie: People have a budget that works for the first time in their lives. Couples are communicating about money and therefore sharing their future dreams and goals. And when folks really learn that 100% of everything they have belongs to God, they begin to live their lives differently. Financially, the average family eliminates $5,300 and saves $2,700 during the 91 days of the class. Jim: What is Momentum? How is that different from offering FPU classes? Debbie: FPU is a DVD-driven small group accountability course that brings life change. Normally 10 to 20 families go through the program at a time, and as you can see significant life change happens. 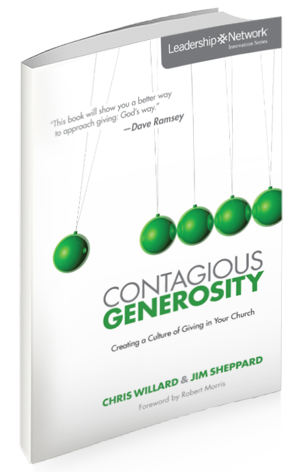 Momentum is a culture change within the church to move the church to true biblical stewardship and generosity. Momentum starts with a workshop led by Dave’s team and teaches churches to tie people’s giving with the mission of the church. Momentum uses FPU as the education/life change course for their congregation, but it doesn’t stop there. The church then has a common language to take their congregation from tippers to tithers to outrageous givers so Kingdom work can be done. Jim: Why is the parent company called The Lampo Group? Debbie: Dave really wanted this company to be God’s company, so when he went to name it, he began to pray. He thought of a lot of different names but most of them modeled what the world was doing…like The Ramsey Group. But he felt impressed to look up the word LIGHT and found Matthew 5:15 – don’t hide your light under a bushel. In the Greek, light in this instance is LAMPO, so he called our company, The Lampo Group. Jim: What is the mission of Lampo? Debbie: The Lampo Group, Inc provides biblically based, common sense education and empowerment that gives hope to everyone from the financially secure to the financially distressed. Jim: Lampo has a pretty neat operation. Talk about the culture you guys get to work in. Debbie: Dave knew he did not want employees—People who come late, leave early and steal while they are here. He wanted folks that felt called to this mission. He wanted team members. So from day one of his business he did not hire anyone who was just looking for a J-O-B. From there, Dave knew if the company was going to grow, he had to make sure that anyone in the company could make decisions or answer questions like he would. So, he began teaching a leadership class to our team. He covered everything from customer care to marketing to making the call. So Dave has built a team culture with an entrepreneurial spirit. We get the job done, while caring deeply for our team and clients. 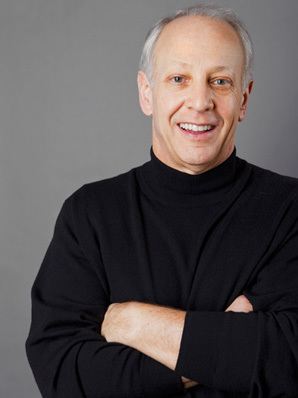 He now teaches this course to small business leaders/owners around the country. It is called EntreLeadership. Jim: What’s in the near future for Lampo? Debbie: For the church department, we want to take the next several years and really raise awareness for church leaders to teach TRUE, biblical stewardship. There are over 800 scriptures on money and possessions. People need to hear these scriptures and apply them in a radical way to their lives. When we align our lives with His word – it changes things! Also, later this fall, Dave has a new book coming out, EntreLeadership. If you lead people, it will be a must read. Jim: All right, here’s the big one people want to know. What is Dave really like? Debbie: What you see is what you get. If you listen on the radio, you can hear his heart of a teacher when a first time caller has a question, but you can also hear him really tell someone straight up that they need to fix the issue. That is how he is at the office. He encourages us to excel and holds us accountable to our dreams. Dave is an incredible leader. He often says, “if you are going to put a fish on the back of it, you better drive it right.” He demands that we take on personal responsibility and do our work as unto the Lord. He is transparent giving us the good, the bad and the ugly and involving us in making decisions. He is the most generous man I have ever met. Jim: I am not surprised to hear that. That is exactly the way he comes across. Thanks so much, Debbie, for taking time to give us a “behind the curtains” view of The Lampo Group! Keep up the great work!